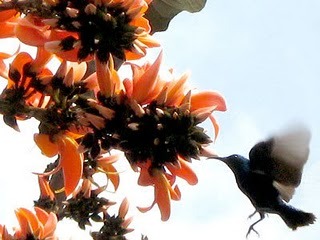 Happy Pohela Falgun Day Special New Bangla SMS & Quotes Collection in Bangla Language. For Your Friends, Girl Friends / Boy Friends. You Can Send it before or on 13th February at Boshonto. Romantic SMS. fagun sms. 5. Dekho Boshonter batash Boiche Aji. tar tole valobeshe boshe ache boshonto pothikh. Modhuro Omrito Bani Bela gelo Sohojei, Morome Uthilo Baji Boshonto Eshe geche. 10. Megh ke duth baneya je chithe pathale ojanar thekanai. somiron chere nemojjito hok prethebir rukkho buke. Bosonter fulel sourove mukhorito prethebir oper mohima dola dik lok-mon-o-monone. falguner porisfutito pothom fulo-koli sporser osim sukh. 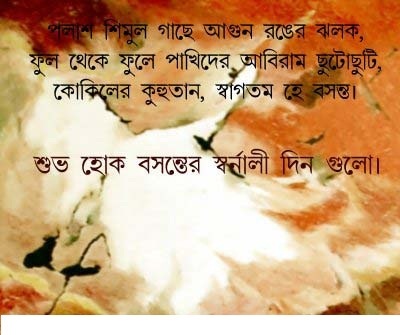 Bondhur Barir Fuler Gondho Amar bari ashe. falguner porisfutito pothom fulo-koli sporser osim sukh……….